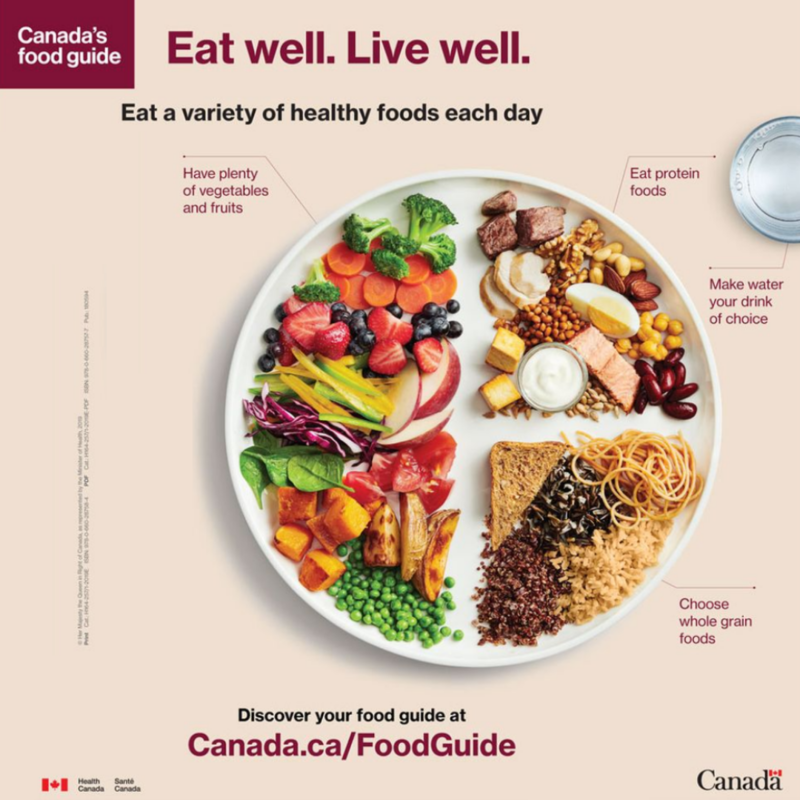 IT’S OFFICIAL, Canada’s Food Guide has changed! A great excerpt straight from Canada’s new food guide and healthy eating recommendations. Gone are the days of the food group rainbow, food pyramid and calling plant-based foods “alternatives”. We are so lucky to be living in this progressing country which is asking its citizens to choose beans and nuts over beef, poultry, and fish…nevermind bacon. And dairy, that’s not even a food group anymore. Choose water as your drink. A focus on proper hydration and this does not include juice or milk, which is HUGE! We are so glad we didn’t see them say to choose low fat cream cheese. This means that there is a big understanding of what needs to be done. So we’ll take these swaps as a win. What we see is the government getting on board with what we at Plant Trainers have been saying all along. Make the changes that can change your health. The same changes that helped us lose weight, shrink a tumor and clear heart disease. Not only are these changes better for our health, but they are also an improvement for the animals and our environment. Now our clients won’t have to work so hard at convincing their friends and family they are making the right choice. They’ve got the Canadian government on their side. So, what do you have to say about this historical event?